Home › BaviPower Viking Blog › Who was Norse God of Love? Who was Norse God of Love? Any god in the Norse pantheon embodied certain qualities that could distinguish them from others. In Norse mythology, there was also the god of love, in the sense of loving and being loved. 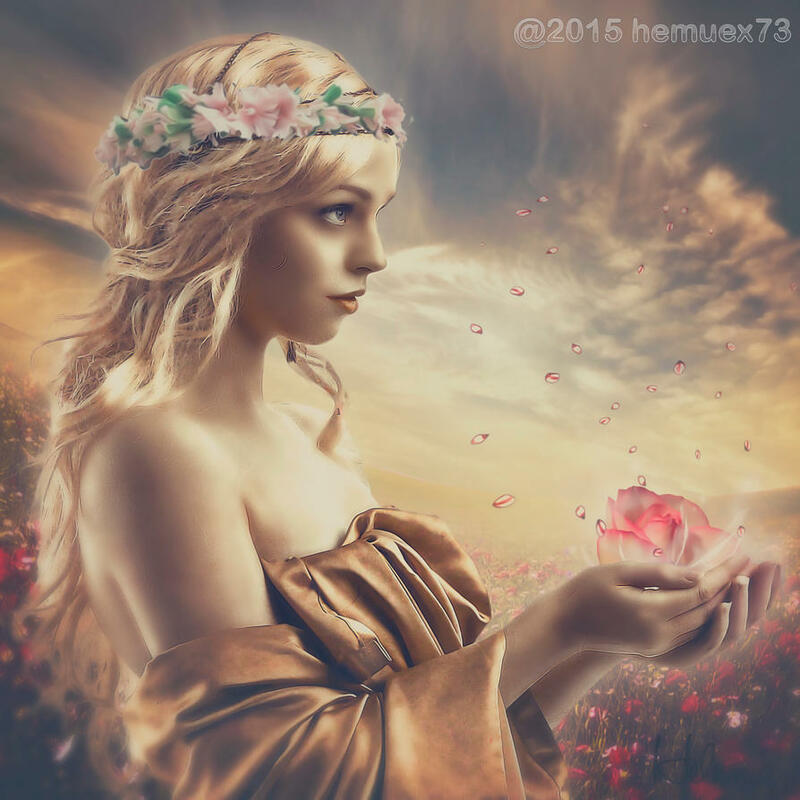 She was goddess Freya - Norse God of Love. Freya was the daughter of Vanir chief god Njord. She had a twin brother whose name was Freyr. Her family, including her father, brother, and her, once came to live in Asgard as hostages exchanged to seal the peace treaty between two god tribes. Freya rode a chariot pulled by two dark cats and sometimes a boar chariot. The love story between Freya and her husband was a story worth telling. Her husband was known with the name of Od but there was nearly nothing that we knew about this character. He was a mystery. This husband disappeared one day and this broke the heart of Freya. She loved her husband so much that she roamed any place only to find her husband back. But the harder she tried to seek her husband, the more she got disappointed. Goddess Freya cried a lot and her tears became the pure gold. Freya was loved so much for her beauty. She was so beautiful that everyone would fall into her at first sight. Any creature like dwarves, elves, humans, gods, etc. could easily fall for Freya. Besides, Freya was also a stature of a strong woman that people would love her. She was the goddess of war compared to Odin the god of war. The brave warriors who fell in battles would come to Asgard, half to Valhalla living with Odin, half to Folkvangr with Freya. She led her army into the battle of Ragnarok to fight alongside Odin against the giant. Many scholars said that Frigg the wife of Odin and goddess Freya was actually one character. They had many qualities in common, not to mention the similarity between Od (husband of Freya) and Odin (husband of Frigg). However, whether this was true or not remained a mystery.